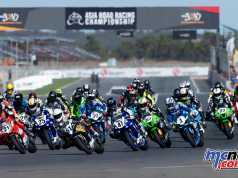 The 2015 eFXC championship, part of the Australasian Superbike Championship, saw its final round at Sydney Motorsport Park run over the 3rd and 4th of December. Five bikes entered the round, including the long awaited return of the Catavolt machine, this time piloted by Andy Lewar (NSW). 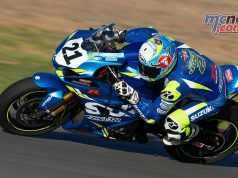 Danny Pottage (WA) wrapped up the season with 5 wins from 5 starts at Sydney Motorsport Park on board Voltron Evo, giving him a total of 125 points for the weekend and 527 points for the series. 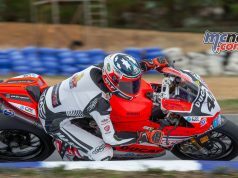 The West Australian prepared machine had been consistent all year, taking a few new lap records (Mallala, Rd 1 and Queensland, Rd 2) along the way. While the obvious power advantage of the Voltron motorcycle helped secure the win, the teams ongoing development has seen big improvements in suspension and geometry, and much improved cornering stability, ensuring it was no slouch in the technical sections of each circuit. Builder of Voltron Evo, Chris Jones, said he is confident the bike will be quicker still in 2016: “We have a new, wider swingarm being fabricated this summer. It will allow us to use modern, lighter wheels and give us a greater selection of tyres and rubber compounds. 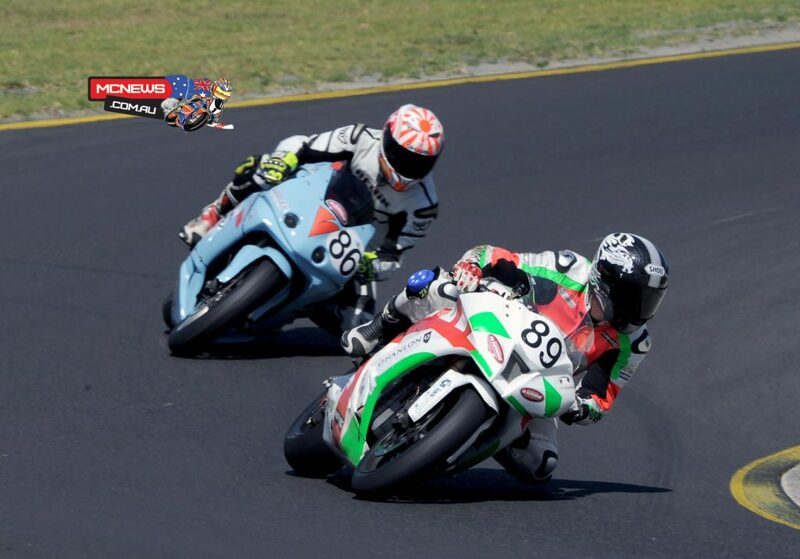 Leaving black lines out of every corner might look cool, but it costs us in lap times” he said. Jones said the bike will also be going on a bit of a diet, seeking to get the total mass of the bike under 200 kg, down from 212 kg at present. Jason Morris (NSW) on the Varley Electric Vehicles Division machine, the PR1, took second place in championship, with 108 points for the weekend and 484 points for the season. Jason and the Varley prepared machine suffered several technical issues in the early part of the season, but appeared to have them sorted by Round 4 at Wakefield Park raceway. The Varley team soon proved themselves to be a formidable package – taking round wins at Wakefield Park and Winton Raceway, but couldn’t claw back the points deficit in time for the final round in Sydney: “Yeah, full credit to the guys in front – it’s a bit frustrating to get blasted down the straight, but you’ve got to build it to be first, and that’s what these guys have done”. Morris alluded to the development of a second bike for next year: “We’ve got a Ducati (based machine) in the making, so we hope to have two bikes on the grid for next year”. Third place in the championship went to Daniel Ripperton (NSW) with 399 points for the season. He only took 40 points from the weekend after being reprimanded for ignoring race control directions after race three. This inspired Ripperton to offer Bradley Swallow (NSW) a joy ride on his machine, who promptly took a third and second place in races 4 and 5 respectively. Swallow confirmed that the 80 kW, 170 kg machine did indeed have the right numbers to be fast – setting the fastest lap in race 5, and coming to within a tenth of a second of the eFXC lap record set by Pottage on Voltron Evo in 2015. Ripperton is keen to leave Swallow on the bike for 2016, conceding that it’s time for a lighter, faster rider to take over. David Hiley (NSW) on the EVtricity Zero SR took fourth in the series with 256 points, and claimed third place for the weekend. Hiley’s Zero is the only electric bike in the series which can be purchased from a showroom floor. He’s swapped out the belt drive for a chain, removed the onboard chargers, tweaked the controller for more power and added forced air cooling to the motor. With a top speed of about 180 km/h it might not be in the same league as the other three prototype bikes, but it does show that a production electric racing is a competitive class just waiting to take off. The eFXC championship, having now completed it’s fourth season since the inaugural TTXGP-inspired series of 2011, is quite a remarkable class of racing. It remains the only true prototype championship in the country and is home to some of the closest and fastest electric circuit racing on the planet. The short race format means the bikes can rapidly develop their race craft while battery development marches on in the background. As the bikes inevitably get faster and batteries improve, the race laps will be extended and no doubt eventually, merged with a gas bike class. Make no mistake, electric propulsion is no longer the way of the future – it’s here right now, and will only get faster. 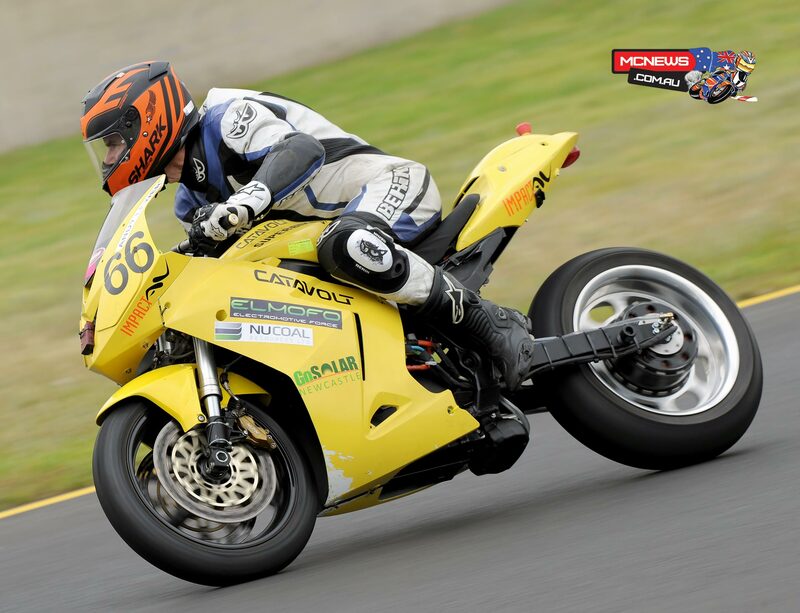 If you would like to enter an electric bike in the class for 2016, get in touch with the Formula Xtreme promoters on admin@fxsuperbikes.com.au or check out the Australian Electric Vehicle Association for details of a branch near you.